That’s right, ladies and gentlemen, guitarist Pustulus Maximus of GWAR is in the building. 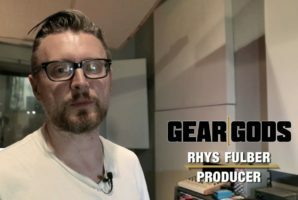 On our latest edition of Rigged, the spacefaring musician walks us through his live guitar setup, including a plethora of galactic rack gear, cosmic effects pedals, and enough guitars to make you say “Beam me the f*ck up, Scotty!”. Hold onto your latex skull, because this alien warrior is taking you into hyperdrive, baby!